Customer Service Industry/ C. V. P.
United Learning Foundation (U.L.F.) is a multi-platform disability consulting firm specializing in proprietary trainings and subject-matter expertise for all organizations and agencies that interact with the general public- including emergency services. The mission of U.L.F., through each of its platforms and contract opportunities, is to create a more inclusive, integrated, and safe global community for those that experience life with challenges, via education and advocacy. Crafted by Founder/CEO, Tiffany Allen- Potter, through her personal experiences of living with a physical disability since birth, her professional knowledge gained from working extensively with individuals with physical and intellectual challenges, and her public policy work with local and state governments; U.L.F. aims to fill the gaps in service, safety, and understanding through a depth of knowledge rarely found elsewhere. 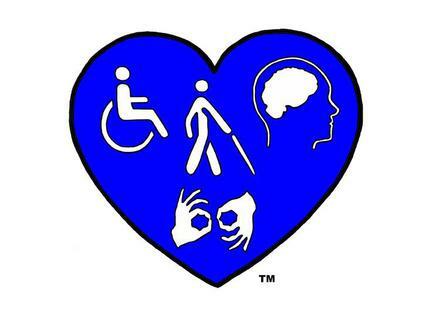 Through trainings for employees and/or certification through the Compassionate Vendor Program(TM), consulting opportunities, and emergency management projects that focus on those with disabilities and others with access and functional needs; the universal goal of United Learning Foundation is to teach compassion and empathy through education. According to the U.S. Department of Labor, 69.2% of citizens in our country are living with at least one disability. U.L.F. 's mission is to shift the energy of this world to a more compassionate, understanding, safe, and inclusive place for every member of our community. Com.pas.sion: noun. 1. Deep awareness of the struggles of another coupled with the wish to relieve it. * This is the recognized symbol for the Compassionate Vendor Program training and certification program through United Learning Foundation. Information regarding the training and certification criteria can be found here. All Rights Reserved. Get inspired but don't steal, karma is real. It has come to our attention that the idea of teaching trainings regarding individuals with challenges (both seen and unseen) has become an attractive way for individuals and organizations to make money. They "sell" their trainings to unsuspecting companies and agencies with little or no experience in presenting trainings, often recruiting trainers that have no experience in the subject they are teaching, and even attempt to sell Certificates of Completion to attendees at the end of each presentation. Please be aware that just because one may know someone with a disability does not mean that they are experienced in presenting trainings so that attendees have a wonderful educational experience and learn how to apply techniques that will help them interface with the general public. If you choose to employ another training firm please ask plenty of questions regarding the training format, the trainer that will be presenting the training and their background in the topic they are speaking on (e.g. if they are training First Responders please confirm that the planned trainer has a background in working with First Responders as well as experience with people with disabilities), and if there are any hidden costs or upselling that is part of the program you are looking to hire.